Delicious Italian Cream Cake baked in a sheet pan, then cut into bars or squares. Topped with a rich silky cream cheese frosting. It’s the easiest Italian Cream Cake ever! It’s rich and decadent just like the original layered cake. 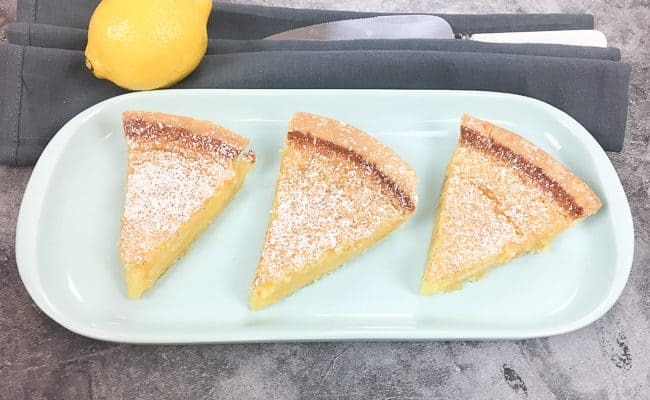 Lemon Chess Pie is an easy, tart, ooey gooey pie that bakes up with a sweet crispy candy-like top crust. Chess pie is an old fashioned southern favorite that everybody loves. These easy cinnamon applesauce muffins make a delicious breakfast or a tasty snack. Applesauce adds sweetness and moisture while cinnamon adds a warm flavor. Topped with a simple cinnamon sugar mixture. Old fashioned apricot nectar pound cake is an easy, moist cake that made its debut several years ago. The apricot nectar juice adds a light, citrus flavor and sour cream makes this popular cake super moist. 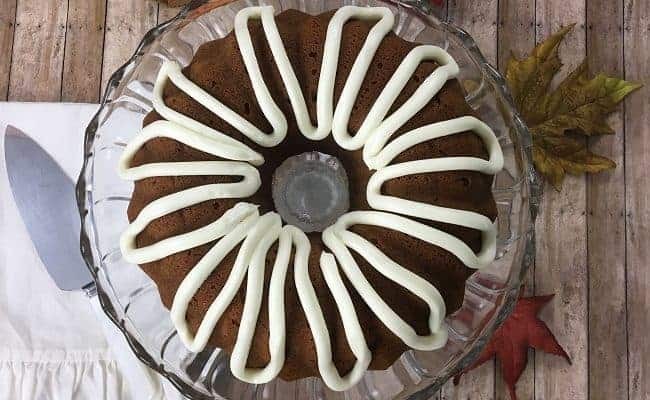 This Pumpkin Pecan Bundt Cake is an easy, super moist, incredibly delicious spice cake with cream cheese frosting. It’s the perfect fall dessert! 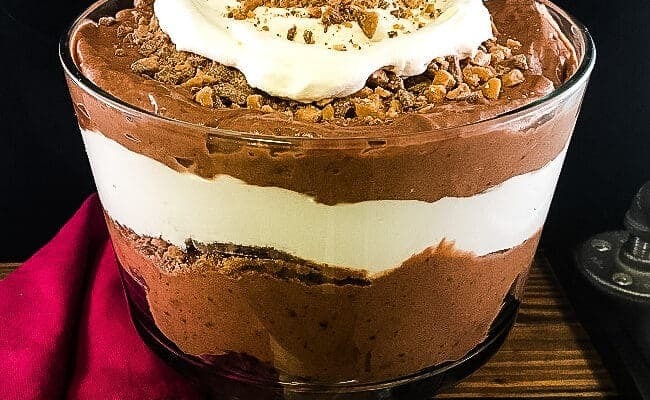 This easy chocolate trifle with brownies and toffee bits is the king of desserts! Made with chopped brownies, chocolate pudding, cool whip, and toffee bits. 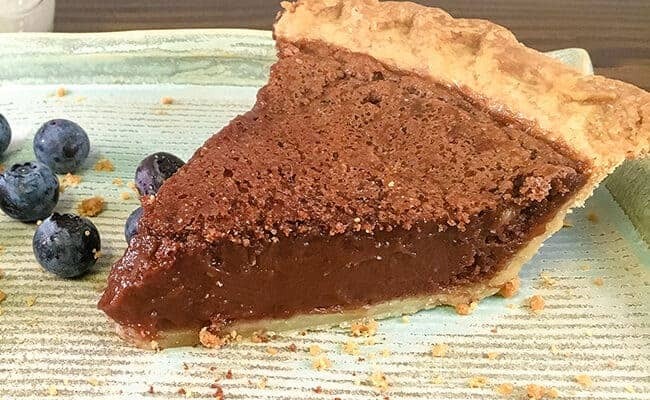 This easy chocolate chess pie is so delicious you’ll become hooked after just one bite. Rich and decadent are the best two words to describe this chocolate chess pie from an old family recipe.